Fit and style hair replacement Solihull. With a hair replacement Solihull system you can have a full head of hair – no more hair loss! – sound too good? Then watch our video below which shows the process of hair replacement and how they look natural, unique and are used Worldwide as the answer to hair loss concerns and worries. With our 25 years experience we know how to fit and style hair replacement Solihull and you can be confident that no-one will know it is not your own full head of hair. With a hair replacement Solihull system you can have a full head of hair – no more hair loss! – sound too good? Then watch our video below which shows the process of hair replacement and how they look natural, unique and are used Worldwide as the answer to hair loss concerns and worries. 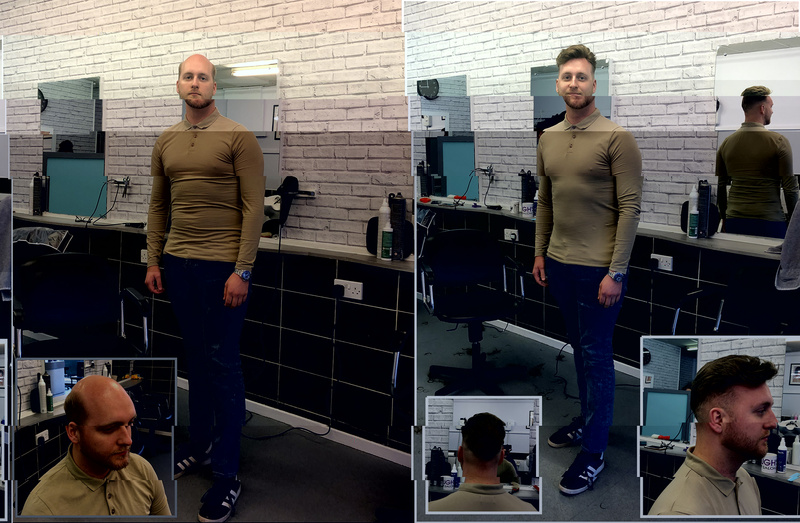 With our 25 years experience we know how to fit and style hair replacement Solihull and you can be confident that no-one will know it is not your own full head of hair. One of the most common is can I swim and shower with a hair replacement system – the answer is YES – if this is going to be the case we use a certain type of fixing which is waterproof. Will anyone know – we have 25 years experience providing systems so you can be confident that we take pride in the overall look and will ensure it looks completely natural. Is it comfortable – YES – please don’t think a system is like a ‘wig’ – its nothing of the sort. They are made from a breathable, silicone base which fits secure, is comfortable and does not sweat etc. We have clients from all over the UK and are only a short journey from Solihull – we understand that your hair loss is a concern and that getting the answer is very important – come and visit us to find out more. 1) One of the most common is can I swim and shower with a hair replacement system – the answer is YES – if this is going to be the case we use a certain type of fixing which is waterproof. 2) Will anyone know – we have 25 years experience providing systems so you can be confident that we take pride in the overall look and will ensure it looks completely natural. 3) Is it comfortable – YES – please don’t think a system is like a ‘wig’ – its nothing of the sort. They are made from a breathable, silicone base which fits secure, is comfortable and does not sweat etc. More questions??? – call us or complete our online form above.